Here is a fun accessory for your geeky apartment, and ideal for the next time you have a few of your geeky friends round, the Atari Games Shot Glasses. 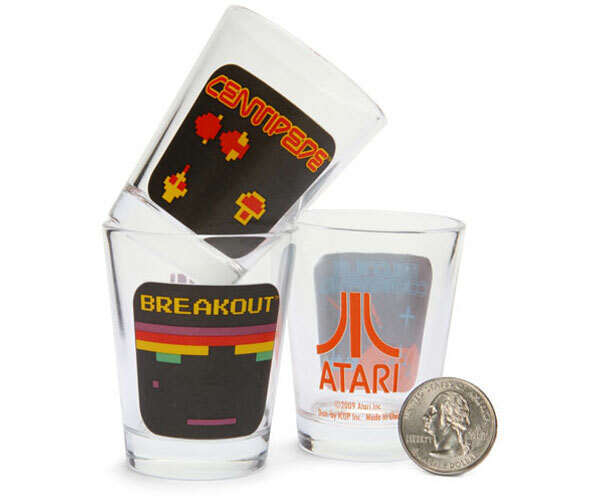 These fun shot glasses feature some of our favourite Atari games, including Breakout, Pong, Asteroids, Centipede, Battle Zone and Missile Command. 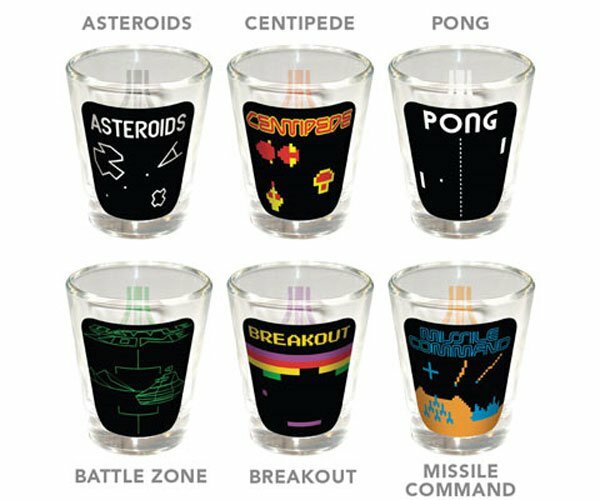 This set of 6 shot glasses include graphics from six retro Atari arcade games: Asteroids, Centipede, Pong, Breakout, Missile Command and Battle Zone. A color-coordinated Atari logo is on the flip side. If you want some of these fun Atari Games Shot Glasses they are available in a set of six for $15.99 from Think Geek.